Arrested today in New York City, Robert Fay is the victim of a Secret Service sting operation, for his plan to place ‘rudder bombs’ on transatlantic liners carrying munitions in their cargo holds has been compromised ever since the Treasury Department office noticed that Fay’s German-American chemist was purchasing unusual amounts of potassium chlorate. It is their latest success in upholding American neutrality; a Secret Service agent obtained incriminating evidence of Germany’s clandestine sabotage campaign in July, leaking embarrassing revelations about German propaganda to the press while the US State Department requested the withdrawal of the Austrian ambassador. Under questioning, Fay confesses to the origins of his mission: An infantry lieutenant who was serving on the Western Front, his proposal for the ‘rudder bomb’ conspiracy was personally approved by the Chief of the German Secret Intelligence Service, traveling to the United States in April on a new wave of German agents sent across the Atlantic with deadly purposes. One of those agents was Franz von Rintelen, whose amateur spycraft resulted in the arrest of former Mexican dictator Victoriano Huerta while trying to cross the violence-wracked border at El Paso, having concluded an agreement to precipitate war with the Americans. Rintelen sought to oversee a program to place incendiary devices on ammunition ships in New York Harbor as well as Fay’s ‘rudder bomb’ operation, ordering a series of tests during July which the complicated design failed. 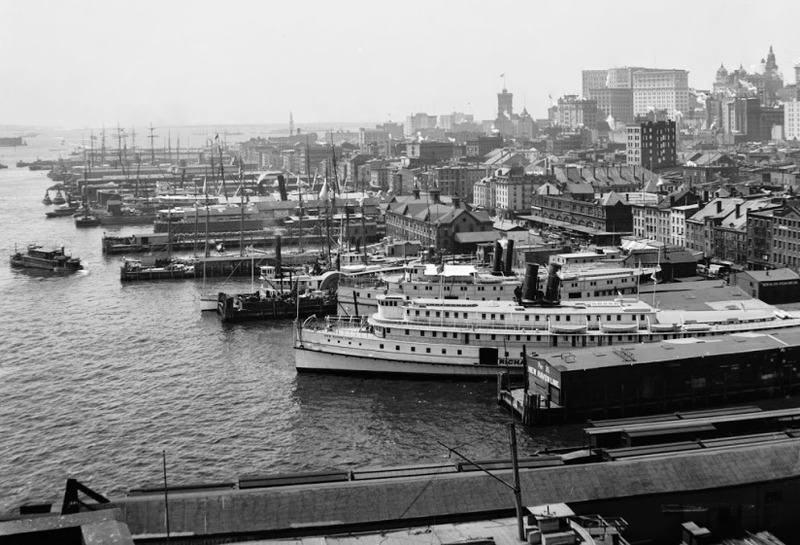 Reconnoitering the waterfront in a motorboat purchased from co-conspirator Dr. Herbert Kienzle, Fay was surprised that no one challenged him while he loitered near the ocean-going ships on the busy Manhattan docks. Although his operation ground to a halt in August, Fay traveled to Chicago and Kentucky in September to scope out a factory for a covert bombing operation, drawing attention to himself by skipping out on his hotel bill. Upon returning to New York, Fay contacted the chemist again to obtain high explosive TNT, triggering the sting. When the Secret Service searches Fay’s garage, they discover the makings of two hundred bombs, with four more completed for testing. Engineers who examine the design agree that had it worked, the device would undoubtedly blow the stern off a modern steam liner. Germany officially disavows Fay, but this merely redoubles the popular American impression of Berlin’s dishonesty, for he is immediately linked to German diplomatic personnel whose names are already familiar to the American public: German spymaster Franz von Papen and his his lieutenant, Karl Boy-Ed. Swept up quickly by the Secret Service, Fay’s confederates are all sentenced to prison: his brother-in-law Walter Scholz, who aided him in constructing and testing the bomb’s spring-loaded triggering mechanism, is sentenced to four years in prison; German-American co-conspirator Paul Daeche is sentenced to two years; so is Max Breitung, cousin of Edward Breitung, who challenged the British blockade earlier this year by purchasing a German merchant ship. Fay is sentenced to eight years, but he escapes in August 1916, crossing into Mexico and making it as far as Spain before his journey home is held up by the government in Madrid. Fay’s escape via civil war-wracked Mexico highlights the emerging threat German agents in that country pose to American security, but the plan he hatched and has tried to execute has been aimed at the beating American heart of international trade and commerce. Fay’s objective was to terrorize ship passengers in very much the same way that modern terrorists attempt to bomb airplanes, and particularly resonates with the threats of u-boats and sea mines, which seemed to reach an apogee of horror in May upon the sinking of the Lusitania. Nor is this the end of German plots in America for 1915. 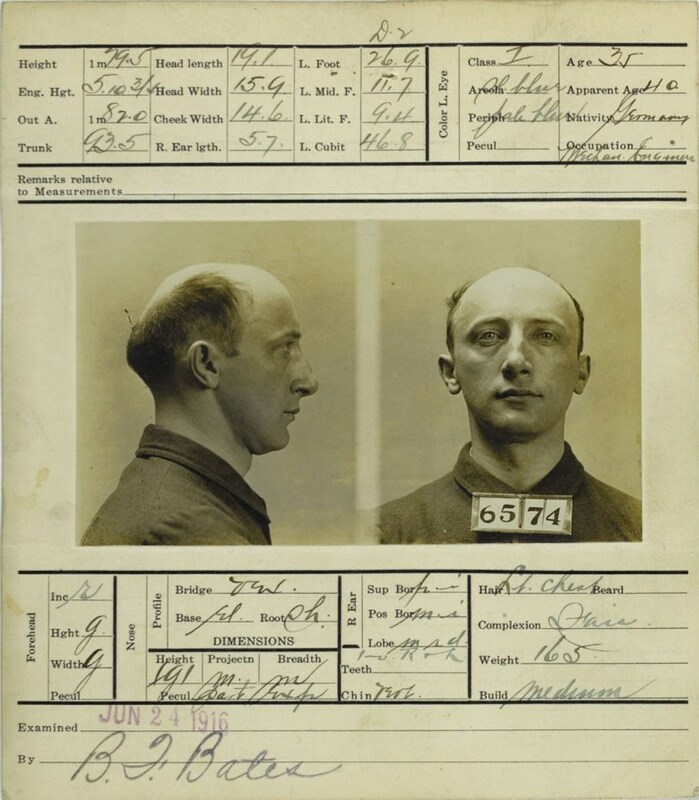 During November, the managing director of the Hamburg-America line will go on trial for conspiring to resupply German commerce raiders, and Franz von Papen will be declared persona non grata in late December. Despite successful diplomatic efforts to end torpedo attacks on passenger ships without warning, German-American relations are drifting fast.